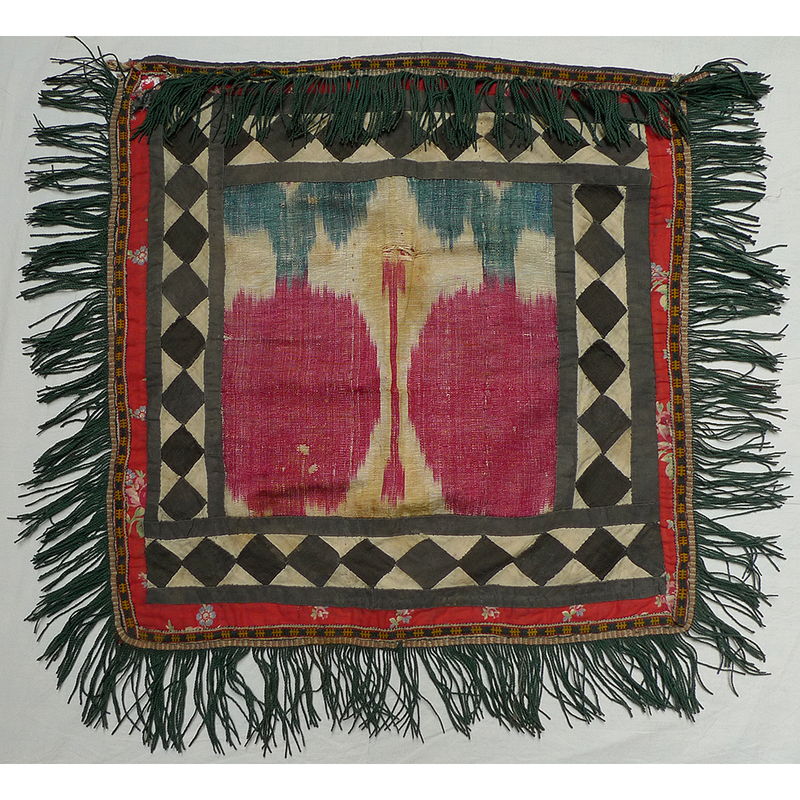 This hanging was probably made in the mid-20th century. 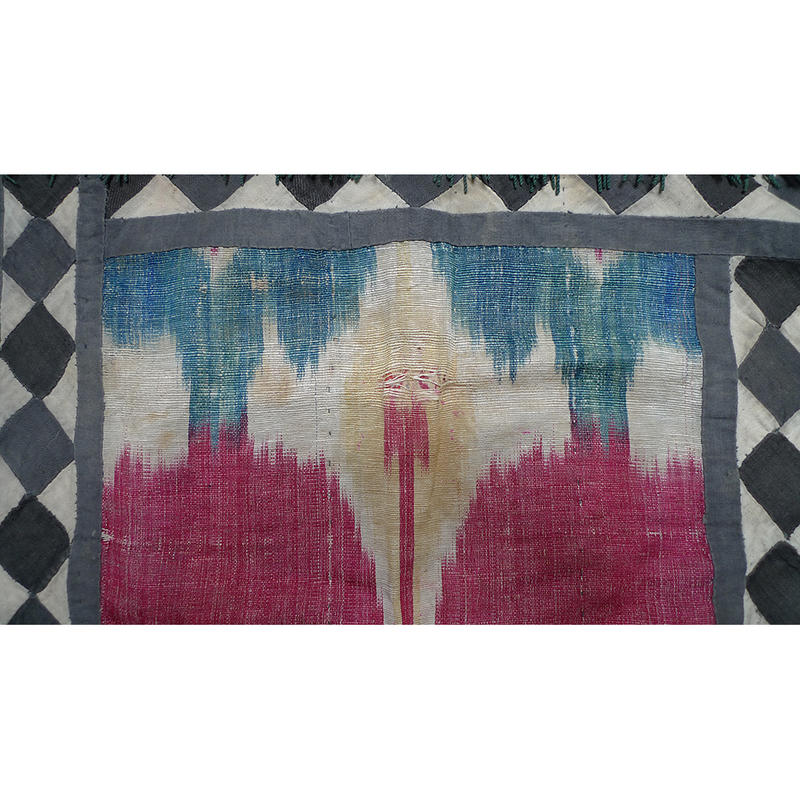 A recycled 19th century piece of handmade adras ikat from an old ikat robe was used in the center. 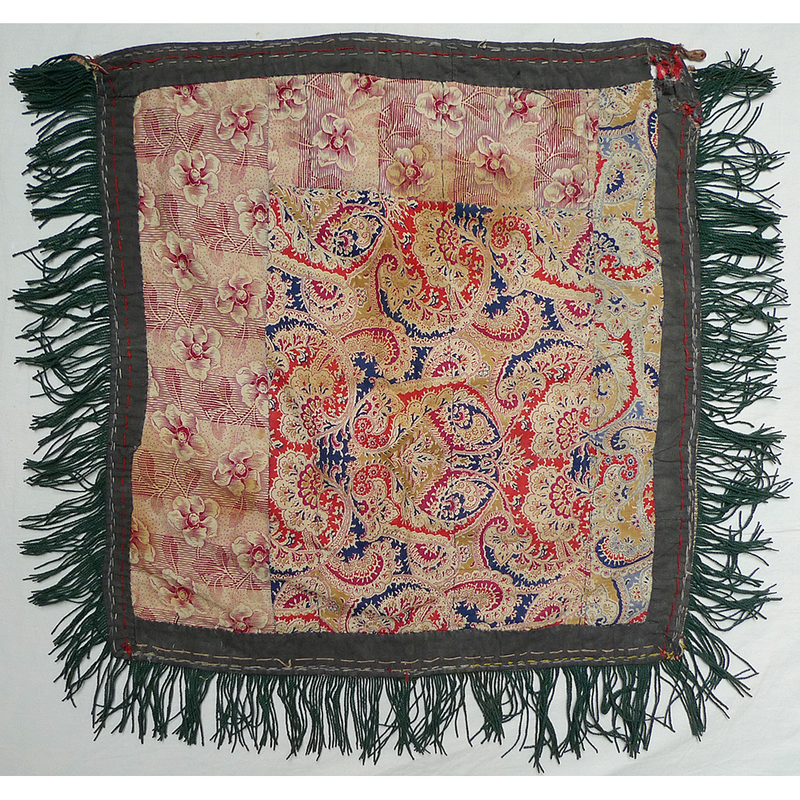 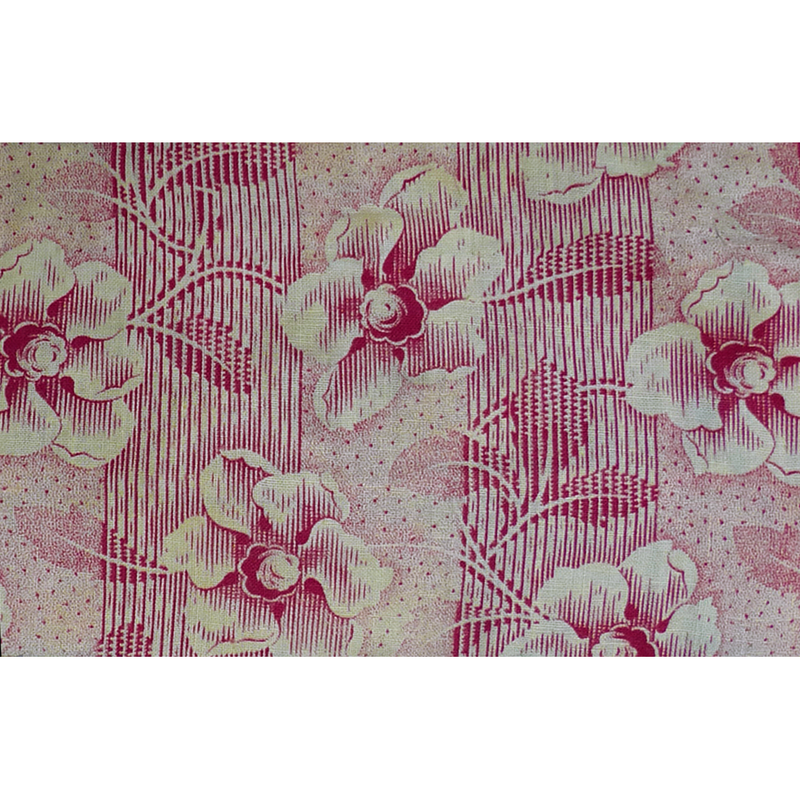 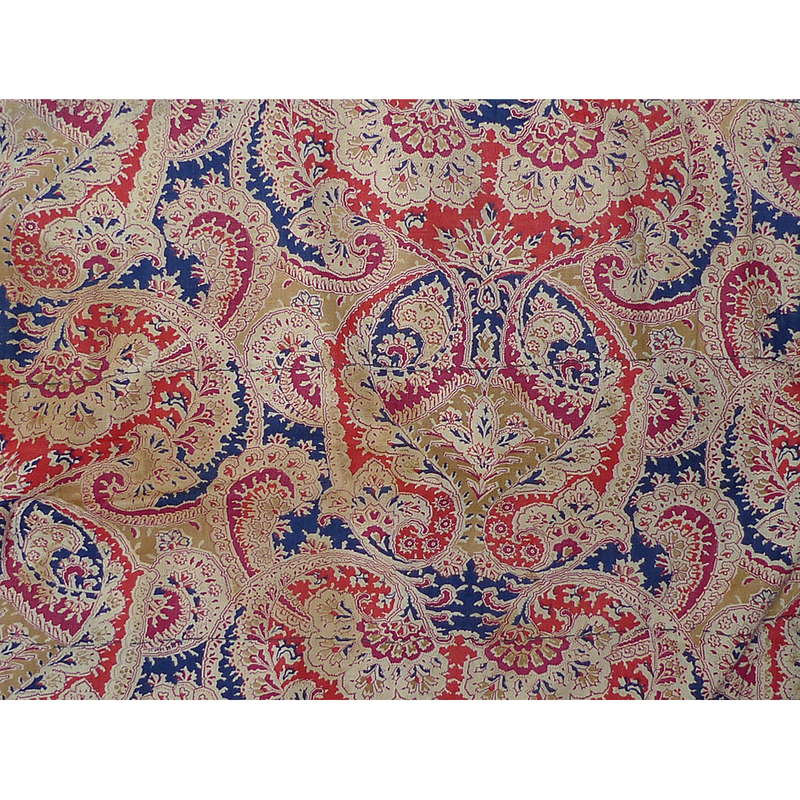 While this has some condition issues, it still makes an attractive wall hanging – and the two prints on the backing could serve as inspiration for a textile designer. 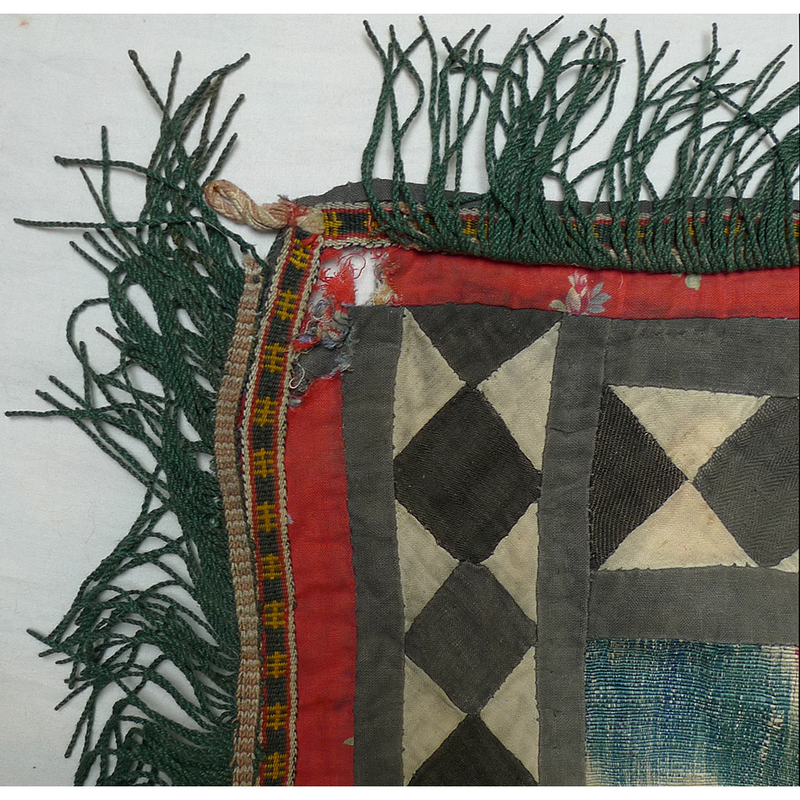 If you are interested in this wall hanging please contact Susan Meller.